Please don't open so many topic with the same question, you can reply me in the old one. And you can sent us 2012, 2015 or 2017 project, we can open them. Thanks for your data and project. That means your data is not under decimal degree(is not 4326) and the unit should be meter, and because it don't cover the Google map, that means its projection is not 3857(900913) also. I checked your data and hadn't found the .prj file, so we don't know what's the projection of your data, that's why it don't works. Because shape file don't contains projection information, so the solution is get the projection information from your data provider and then you can reprojection it to make it works with Google. Hi Ethan thank you for your information. i have tried reprojecting the shape file but i am facing same problem. Actually, i already had sent you shape file projection file. Thanks for the projection information. I don't know where the shapes should be located, but from the map it looks the shapes cover the background layer correct. For test I just set the default area style but comment your custom style. 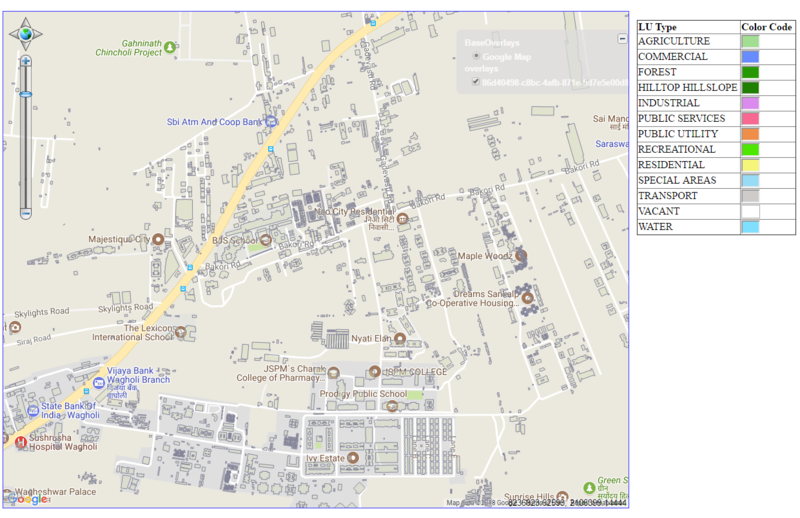 and also Spatial References website helped me. It is glad to help you. If you need any more help, please feel free to contact us. We can’t reproduce your issue. Attached is a sample, please try it. 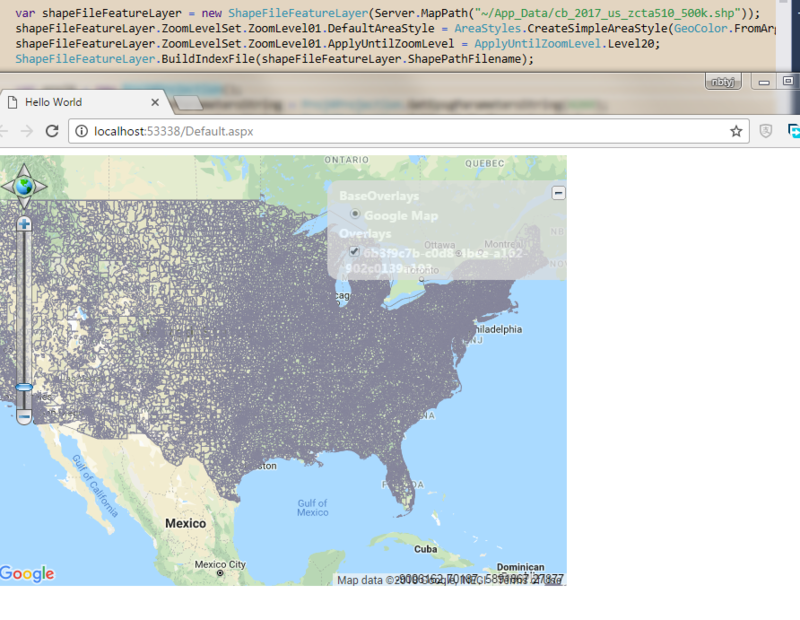 The projection of test data(US.shp) is epsg 4269, it seems it match good between Google maps and shape file. BTW, please add your Google key in config file for test. Can you reproduce the issue with these files? It still works well by this data. I think you should want to modify our sample to reproduce that. Because we are not using webforms we are using MVC, completely different libraries. Are you not able to assist us with the mvc version or should i just post this directly to the mvc forums? We are not going to troubleshoot in webforms when our project is mvc, that's ridiculous. Where can I privately send you our entire solution so you can see? The upload is too large for hear and I don't want to post it publicly. I don't think it's different in MVC and Webforms. If you want to sent us your sample, you can put it in your network disk, and sent download link to me in forum message. But I think you should want to modify the sample I provided to reproduce it if your project is too complex. The HowDoISample-ForMvc should be what you need, and you can also view other samples there.